It is very possible to see practitioners of an Yoruba-based religions, typically called Santeria by many people, while travelling in Cuba. Practitioners honour the spirits of Orisha and ancestors. There are several different Orishas, each with their own attributes and symbols. 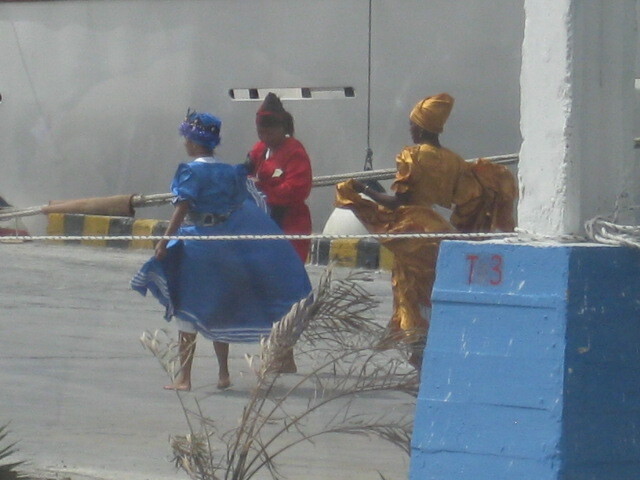 One of them is Yemanja, who is associated with the sea. 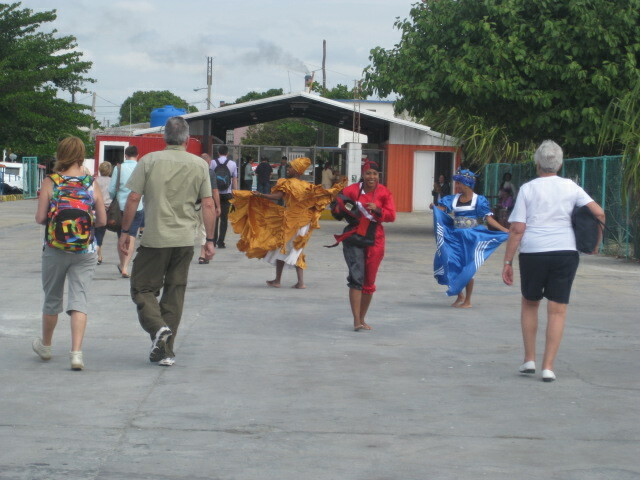 Before coming to Cuba, I was told I would have an encounter with an Orisha. I figured it would be because of some of the places I wanted to visit. I was not expecting to be walking down a crowded street in downtown Havana and be approached by an older woman wearing white and blue. But there she was, walking towards me with her arms opened wide to hug me and give me a kiss on the cheek. And then, she was gone, vanished into the crowd. I think being blessed by the Mother of the Sea was a good omen for my cruise around the island! 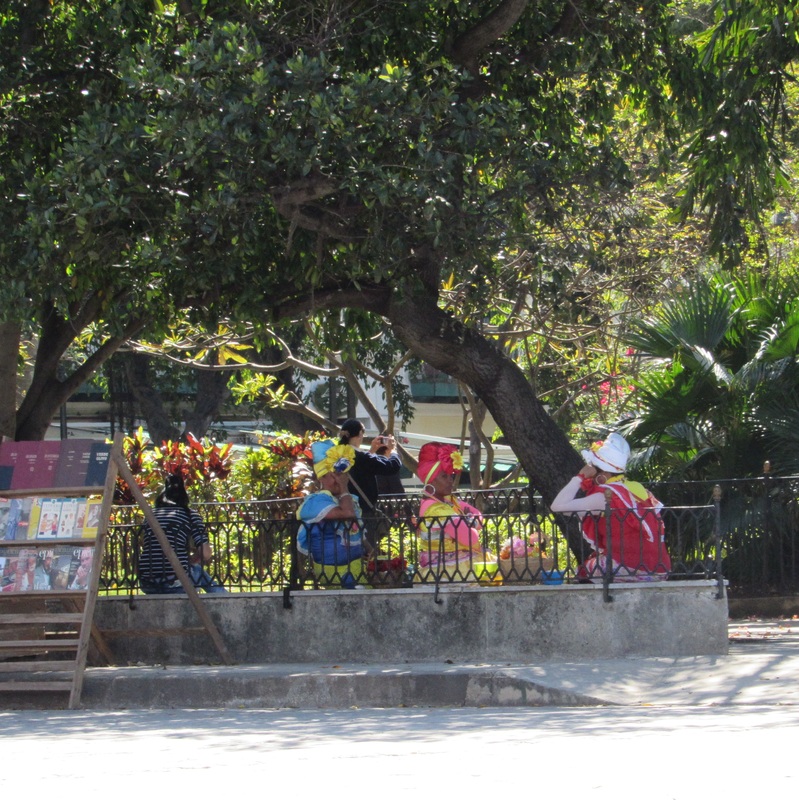 You may encounter ladies dressed in traditional costumes in some of the plazas in Vieja Havana, like the ones in this picture. I’ve already written a lot about Callejon de Hamel. While I was there, I saw several priests busy working around the area to clean and prepare things for a gathering. 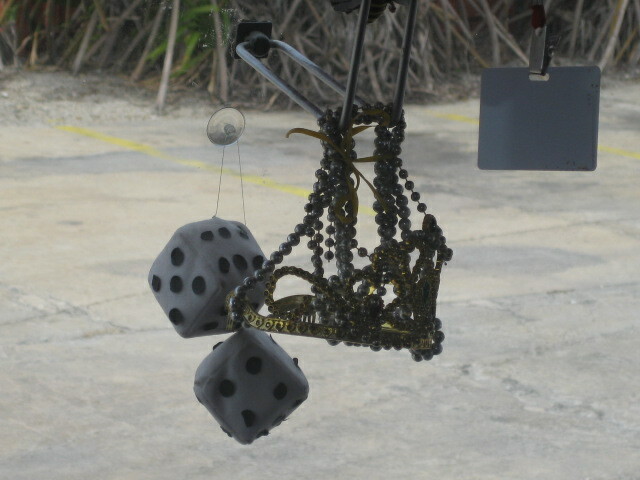 They will typically wear white and have strings of beads that indicate the Orisha they work with the most. In the art shop, there was a small altar with candles. 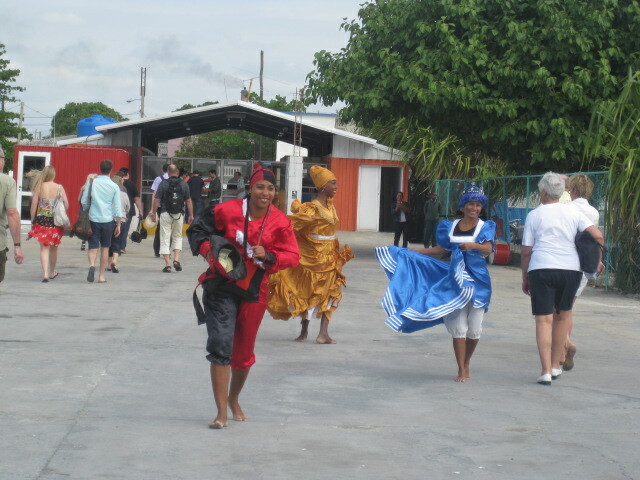 When we docked at Cienfuegos, we were greeted by three women dressed in traditional costumes that would be worn to honour and dance for different Orisha: Oshun (gold), Chango (red) and Yemanya (blue). And you may even encounter other symbols that represent protection. 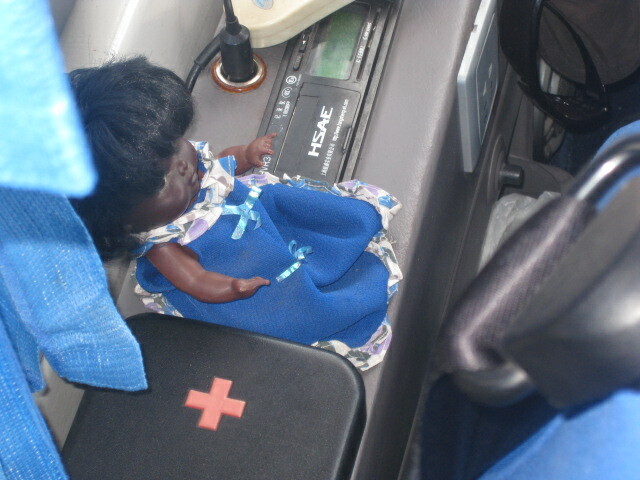 This baby doll was next to one of the bus drivers, along with the gold crown and lucky dice hanging from the mirror. He was both a very safe driver — and very lucky. Somehow, he made it back to our ship in record time! To my friends who practice Santeria / Lukumi, I thank you for the information. 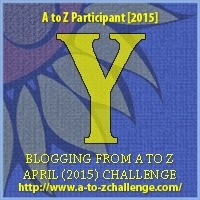 I also apologize for the simplistic way I may have portrayed it in this post. You know how much I respect and honour you. 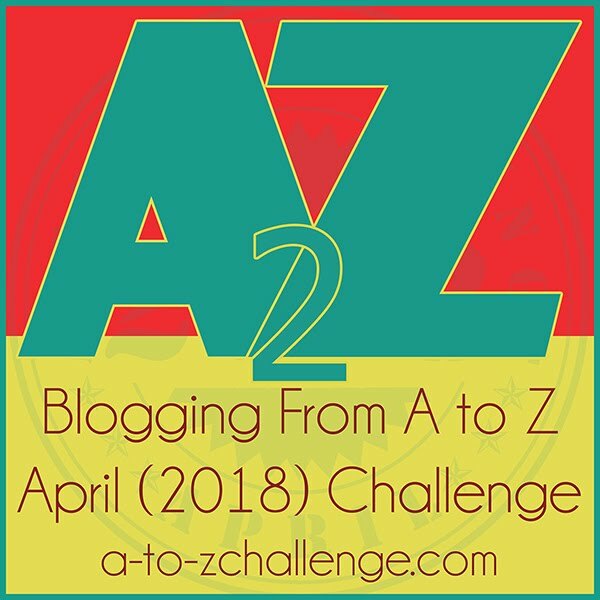 Interesting traditions! And what an amazing experience for you in the streets! Those are some colorful costumes. People in the U.S. wear the most boring clothes. Too many people decked out in black.